Matthew McConaughey stars in this coming of age tale about a man on the run and living on an island when he befriends two children. To be honest, i didn’t really know what to expect when i saw the trailers for this film. I knew i definitely wanted to see it because of the amazing cast (Reese Witherspoon, Michael Shannon and Sarah Paulson to name a few), but i didn’t know if it would be any good or not. My answer is that this is a pretty good film that tells a good story. The problem with that story is that it drags out at times and has pacing problems while getting to the big conclusion. The film runs in at 2 hours and 10 minutes, and really has no reason to be that long. Other than that, my only other problem with the film was the concentrating on some of the outside storylines. 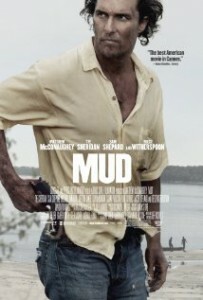 I would’ve appreciated a better telling of the stuff outside of Mud trying to get off of the island. This film is packed with good things though. This includes amazing performances by the two little boys (Tye Sheridan and Jacob Lofland, respectively). They give the movie a “Stand By Me” kind of feel with the great bond the two boys share. All they want is an adventure to get them away from their less than thrilling lives and they found it in this stranger who shows up out of nowhere. I also enjoyed the settings of this small town where the youths wonder what adult to trust, if any. Overall, i recommend this film when it comes out on DVD next week. If Mcconaughey doesn’t bother you too much, then give it a shot. It’s a little long, but a lot better than most of the theater releases that have come out lately. 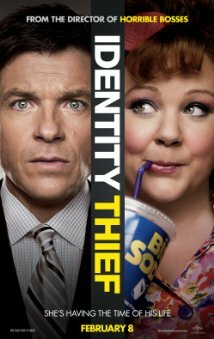 Overall a pretty good movie that could’ve been a lot better. 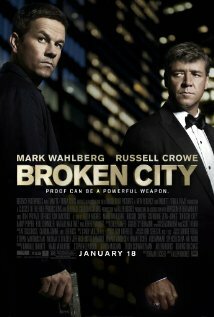 I went into this film with very low expectations and i think that is why it paid off well. 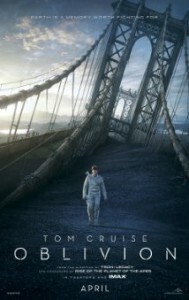 Tom Cruise is part of a cleanup crew that is trying to pick up the pieces after an extinction war with aliens in 2077. I am not usually a Tom Cruise fan, but i feel like he brought a lot to a good character that i legitimately cared about. This movie has great action, well written characters and great cinematography that creates a beautiful film to look at. This movie could’ve easily fallen into the disaster of other Cruise films like Minority Report, but this movie had the genius that is Morgan Freeman and Melissa Leo giving a decent performance as the leader of the alien race. I don’t want to give too much away, but one of the things i didn’t like was the last two minutes of the movie. The ending (at least the one you thought) would have been a pretty damn good way to end it, and i probably would’ve given this film a 7.5 if it ended there. But the last two minutes are completely implausible and it leaves you with a bad taste in your mouth. 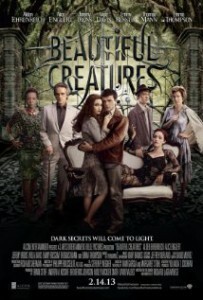 I really had a fun time watching this film and was well entertained with the 2 hour run time. I recommend this film to sci-fi fans, but for anyone else i am not so sure. I could easily see people not agreeing with me on this film, so for non sci-fi fans i will say check it out on DVD. 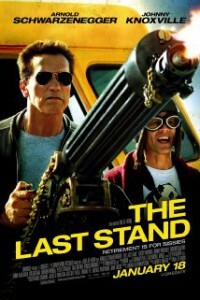 A really good action movie that reminds me a lot of the 80’s action flicks we have come to love. 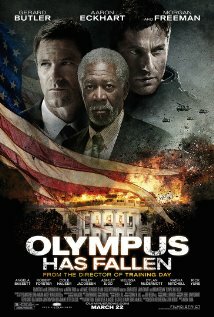 Infact, this movie was more Die Hard than the newest Die Hard sequel that came out last month. Gerard Butler was incredibly badass as a former Secret Service agent who returns to the White House to take down a Korean terrorist threat. This movie had so much more than just action, it also had comedy, decent acting and an incredible cast that included Aaron Eckhart and Morgan Freeman. The weaknesses for me was the way they made it look completely easy to break into the safest building in the world. Other than that, it’s a fun time at the movies. I recommend it to anyone who doesn’t have to watch the greatest movie in the world, but just a good old school action flick. This one was probably the biggest surprise of the year for me so far. I really loved the set pieces and the backgrounds for being as dreamy as the fairytale itself. I loved that they added little bits of story to make the fairytale transform into a 100 minute movie. Even Nicholas Hoult (Jack) gave a wayyyy better performance in this film than he did in Warm Bodies. Stanley Tucci was also amazing (as usual) playing the bad guy. 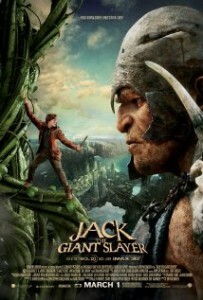 The Giants were also amazing looking and not too overdone by the CGI like most films can do. Some of the things i didn’t like was the dragging at times in between the bigger parts of the films. I know it’s customary for most films to do this, but i just wish they would cut those parts all together. I am ok with an 80 minute movie as long as it’s mostly entertaining. I also didn’t like the way the giants had to respect who ever carried the throne. THEY ARE GIANTS!!! They’re stronger, bigger and they follow no rules. Other than that though, it was a great film. I definitely recommend it if you liked stories like this growing up. A truly gritty action packed thrill ride. 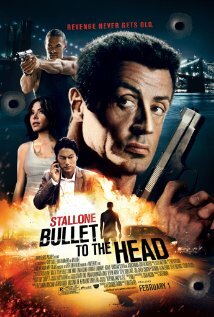 Sylvester Stallone is amazing as a trained killer in one of his best roles of the last ten years. 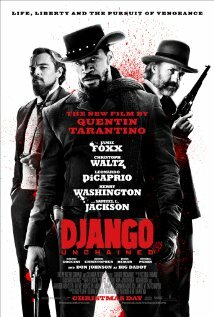 I truly enjoyed that this movie didn’t try to be anything that it wasn’t. You want action? Then this is the movie to see. There were also great villain roles in this movie that added to the fast paced storyline. I definitely recommend it to anyone who is a thrill seeker for action and great fights.